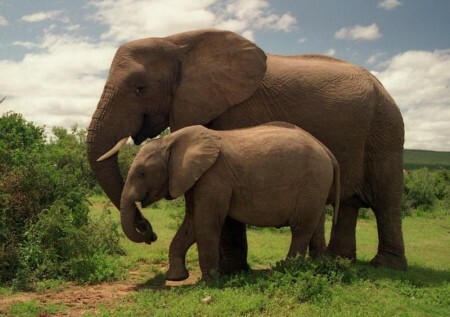 Elephants are the large living land mammals. Three species of elephant are living today: the African Bush Elephant, the African Forest Elephant and the Asian Elephant. The Asian elephant, is smaller than the African. It has smaller ears, and typically, only the males have large external tusks. At birth it is common for an elephant calf to weigh 120 kilograms.